“Spiti Valley is the land defined as God’s abode”, this place is as unique and spectacular as it’s name. The wonderland is so beautiful that we decided to dedicate a segment to it. We, as in me, Ashish (my soulmate) with our 11 months old little love in tow did an epic road trip to Spiti Valley in April 2016. We covered the region in 10 – 11 days by our i10 🙂 and Ashish did the heroic task of driving throughout. I will be gradually sharing all the details right here in this section. Glimpse of the wonderland, gorgeous Himalayas, majestic rock mountains and Spiti river flowing by, beautiful combination!!! That’s a old wooden bridge people use to cross the river. The only way to witness the beauty of this place is by road.The transcendent roads are something you would have never seen or experienced before. These roads are touted as one of the most treacherous and dangerous in the world. The NH 22 will drive you insane for lot of reasons but you’ll love the adrenaline rush and thrill. 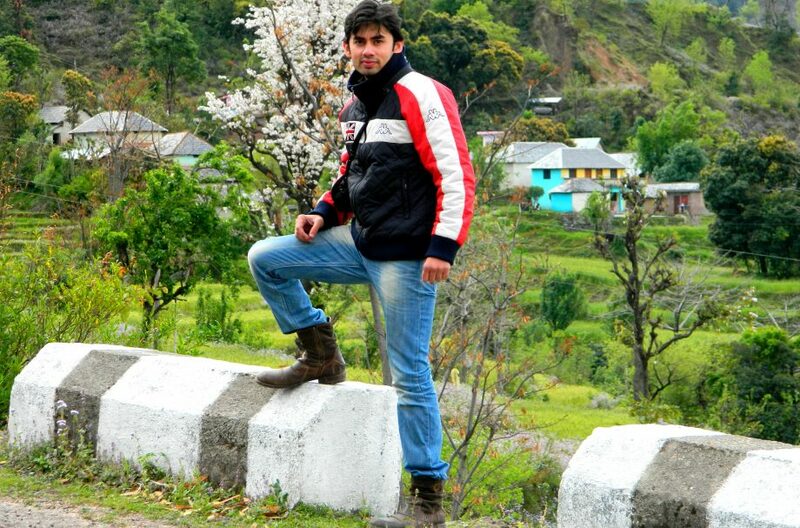 There are two main ways to reach – one via Manali and the other one via Shimla. The Manali route opens only for short period of 3 – 4 months in a year (June – October). From Manali, keep driving over the Rohtang pass and the Hampta pass, and then over the Kunzum pass to enter Spiti. Considering the high altitude the road is usually blocked by snow and even when it’s open be prepared to face prolonged traffic jams. However, if you have only 3 – 5 days then this route is advisable. The other route to this Wonderland is from Shimla. This is open throughout the year but avoid traveling in November – January. The journey will take you through gorgeous greens and orchards of Kinnaur and then to cold desert valley. This route takes longer time to reach Spiti Valley. You can do this one only if you have at least a week to ten days on your hand. In hills it’s not much about the kms but the time involved is critical. The road conditions are unpredictable, the area is prone to landslides and bad patches beacause of shooting rocks at most of the stretches. It is possible that 10 kms will take you good 30 – 40 minutes at some places. You will be needed to get the permit and do registration at Chaura (Kinnaur). You can also encounter random checks done by Kinnaur police. Keep all your papers handy.